I think you are here because you want more leads in your business, right? 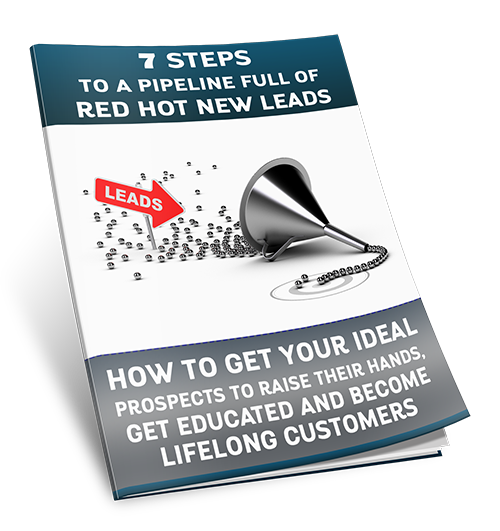 You want more leads, and you want those leads to become red hot leads and then turn them into paying customers, lifelong raving fans of what you do. But there doesn’t seem to be a reliable and predictable way to bring those leads into your business. I can only imagine that if you’re in business, there probably is very little that you have not tried with your marketing. Undoubtedly you have poured buckets and buckets of money into the black hole that is print media, television, radio, bus banners, letterbox drops, catalogues, shopping dockets, Google Adwords, Facebook boosts and seen very very little return, maybe none at all. I call this a black hole, and I know this to be true because I also used pour my money into campaigns like this! Imagine your marketing working like a machine, almost like a vending machine, but a vending machine for leads and clients. …and I am here to tell you that there is a better way to do it! 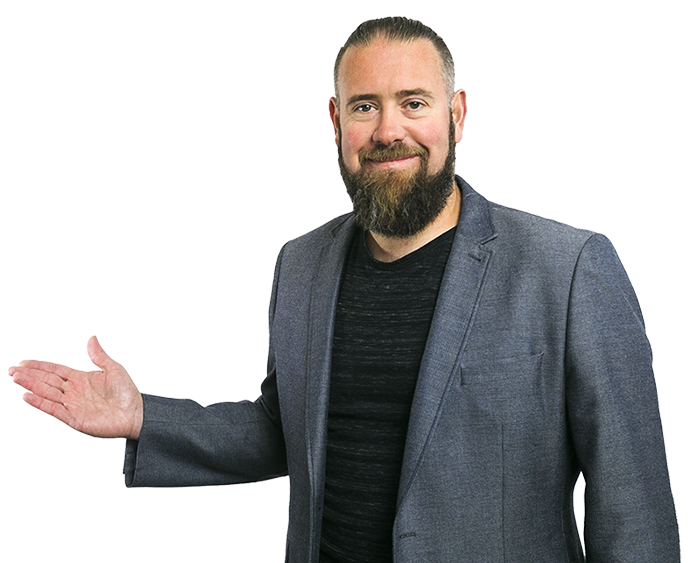 There is a simple predictable way to repeatedly attract the clients you want to work with and turn them into your favourite clients, and I am going to tell you how! But first imagine for one minute the people you have the best relationships with, whether in business or in your circle of friends. What is it that forges these long-standing relationships? Would you not agree it is the fact that you ‘know like & trust’ them? That they ‘know like & trust’ you? That really is the bottom line is it not? It really is about knowing, liking and trusting someone. There is definitely a reason why you use the same mechanic to service your car. …and the same butcher has been preparing your favourite Sunday roast for forever. Wouldn’t it be great if you had the same relationship with all of your clients? So how do you go about building relationships like this with your clients? You help them. You make every effort you can to openly and genuinely help your customers. You show them why you and your service is the best by demonstrating you can help them! So how do you build this into the machine that will predictably and repeatedly attract the exact clients you want? You give them, free, unadulterated, crystal clear advice on how to get the exact results they want. How do you get this free help and advice in front of your perfect clients? You make the information they need to get the results they want available to them easily and freely in a detailed report or guide. 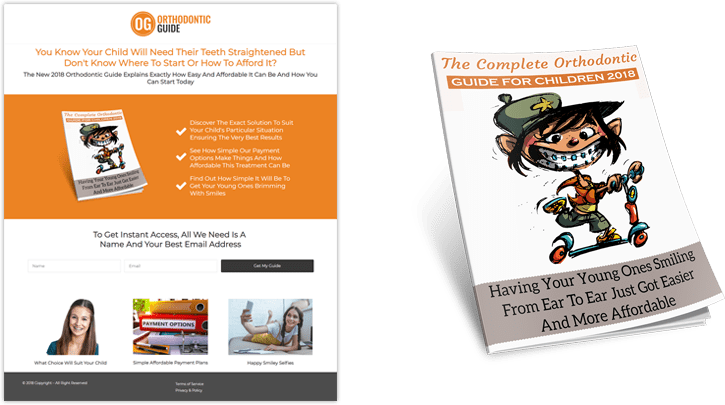 A step by step manual to free themselves from the pain of their current situation or experiencing the pleasure of finding the solution they are looking for! 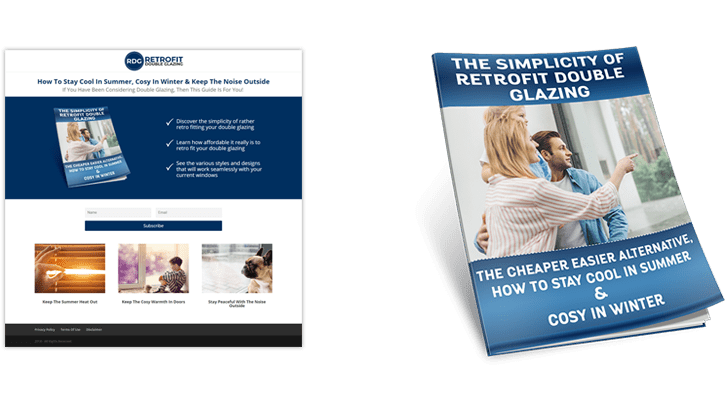 Making this guide available to your ideal client as a downloadable book on a website means they put in an email address to get their product and this ensures getting your new prospect and future client into your world, and the process of slowly helping and nurturing them can begin. The process of building a ‘know like and trust relationship’ is now in motion and the foundations of you being the voice of reason and clear advice are firmly being laid. See once you have their email address, then a slow dedicated, authentic email campaign of further advice, help, case studies and examples can begin. Gradually building rapport, and then, when they are ready, once they know that you are the preeminent authority in your industry or service, they will come to you looking for your help, ready to become customers, educated and predisposed to buy. We all want to be sold things, we just only want to be sold things we need, things that will make our lives better, things that will make our lives easier, and we want to be sold these things by people that we really like! Being educated, being shown how, builds trust, it gains credibility and finally creates reciprocity. See, you have helped them, and in turn, they want to help you, by becoming your customer, not your competitor’s customer. Remember, we are all always trying to move away from pain, and move towards pleasure. Remember too, your ideal client is always asking themselves, what’s in it for me? So help them find that, help them find that solution, help them with that desire, help them solve that burning problem and you’ll have a customer for life. This is something that never fails and it works in almost every industry imaginable. I have yet to find a business where educating your future customer on how your product or service will make their lives immeasurably better will not result in them getting to know you, like you and trust you, and then become a customer. The list really does go on and on. So imagine having your own website where your ideal client can identify themselves to you by raising their hand in a virtual sense, by taking your free advice in exchange for an email address. Read the report, learn about your service, receive further email support, advice and examples and then, when they are ready, ask for your help, and become a client. That there, that’s the vending machine! Imagine instead, a predictable, repeatable process where an email address is dropped into an autoresponder and you have a clear, defined, ROI for your ad budget. An online sales pipeline that keeps on delivering results and profits! So no need for all the cocoa anymore, sleep peacefully at night knowing your marketing is predictable, repeatable and returning money on a consistent basis. Your marketing system is now an asset! …because you’re continually investing in building your list of future customers. …and they will come ready to buy. Have such faith and belief in your marketing, and know that your clients will have had such a frictionless experience, that your referral engine will also run on autopilot. Number 1: Trust me, my book walks you through the whole thing beautifully, seven steps to setting it all up yourself. Yes, as you can see, I do walk the walk, I will help you, my book lays it out, and it’s FREE! Number 2: sounds more like an option? If you just want a solution working, up and ready, educating your future clients as in like yesterday? Before any content is created I get to know your business. What your service is and how you sell it. 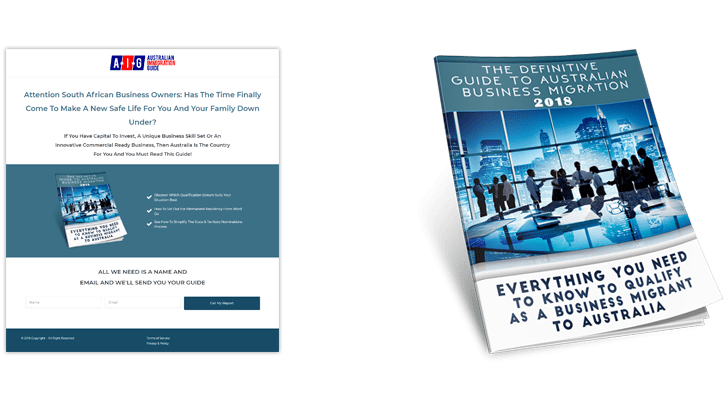 This information is then crafted into a guide that sells your service and that gets the perfect client identifying themselves as the perfect future customer. This is definitely not me putting the words in your mouth, it’s rather about really understanding your product or service so the guide will educate your customer, help them and also, clearly position you as the thought leader in the space. Then a final guide book is written. 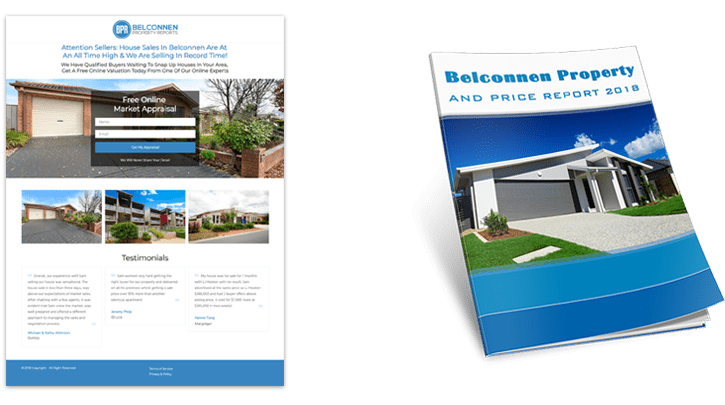 This is beautifully designed into an online ebook or report ready for download the moment the perfect customer is ready! Once we have the guide finished, designed, hosted and ready for the world, we obviously need somewhere to have it waiting and ready to be delivered. We create this location, this is the start of your new sales machine, the first step in your funnel. This is seamlessly designed and finished for you. 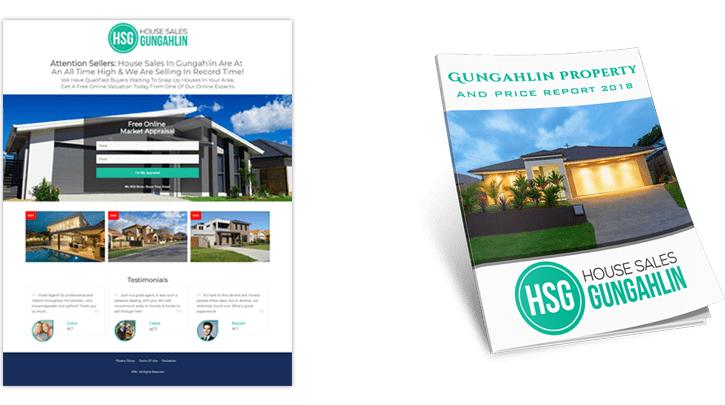 A web-based location for your clients to find what they need and a high-quality 3D render of your book is positioned front and centre, ready to grab the attention. An expertly crafted client-centric headline and book title to elicit the response of the right customer finishes this all off! Do see how the headline of the book will ensure your perfect audience are the only ones that will raise their hands and become clients. This is the foolproof way to always only be working with the right client. Once your perfect future customer has raised their hand, downloaded your guide, is now in your world, we now need to further educate and nurture them. They need more help. They need to be moved along their journey to becoming a customer. To learn that you are the maven in your industry, the authority and voice of reason. This is done with an intelligent marketing automation CRM. So seamlessly, on an automatic trigger, week after week, every future customer is looked after with the exact same dedication, and it never misses a beat. A detailed email sequence of advice, case studies, testimonials, examples, flowcharts or any other form of help is slowly drip fed over a period of time, building trust, and nurturing your relationship. …and that is it. That is how gradually you will win the hearts of your future customers. By educating them and showing them how you can help them. In almost every case, your perfect audience can be found in some form of social media. However, if they cannot be found there, they can be found on Google. These two areas, Google or search engines like Google, and social media, like Facebook and Instagram have all the traffic you could ever wish for. The perfect kind of traffic. The future customer who wants to be found and wants to be helped! If you have an existing business providing a great product or service, and you want to attract more clients in a predictable stress free way, fill out the form below. I’ll have someone from my team reach out immediately and we’ll look to schedule in a time that suits us both to catch-up on the phone or over Zoom and we can discuss your business. My team and I build you a guide, we build you a funnel, we set up an email sequence and we get some traffic driven to it. If you like the results, then you’re free to buy it! …and likewise, if you don’t like it, that’s cool too. We walk away, no harm, no foul, it may not be for everyone. …but if you do like it, and we start working together, rest assured, you have one of the best marketing brains in your corner working as your virtual chief marketing officer optimising everything about your funnel. Working with me, locks out any competitors in your trading or economic jurisdiction! That’s right, if we become partners, I help only you, no one else. 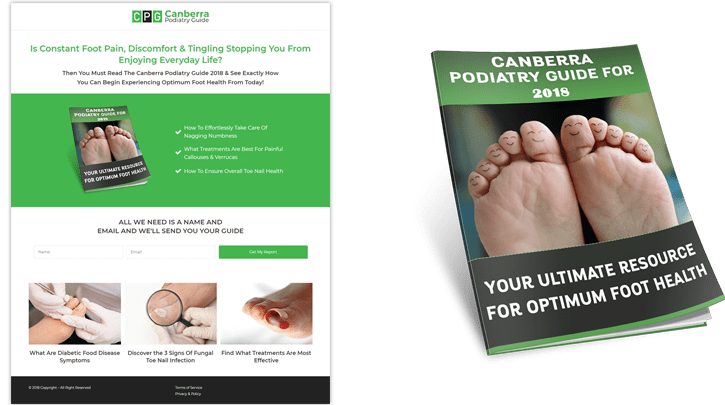 If you are the podiatrists trading in your area, then no other podiatrist will ever get my services in your economic jurisdiction, same for lawyers, real estate agents, orthodontists, you name it! You will lock your competitors out! I cannot be fairer than that! So fill out the form, and I’ll be in touch! We'll Be In Touch Shortly, Please Keep An Eye On Your Email.